Still photos from Historica Canada’s Heritage Minute on the Vancouver Asahi, which was released on Feb. 20, 2019. Photos courtesy: Historica Canada. VANCOUVER — “On the streets we weren’t welcome, but on the field, we were the Asahi, Vancouver’s champions. Everyone cheered for us, our people had a voice,” narrates Koichi Kaye Kaminishi, in the new Heritage Minute produced by Historica Canada. Heritage Minutes are short films, 60 second tidbits of Canada’s history, that depict significant moments, events or people in Canadian history. 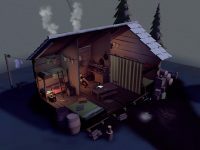 The newest Heritage Minute, released on Feb. 20, tells the story of Japanese Canadian internment through the lens of the Vancouver Asahi. 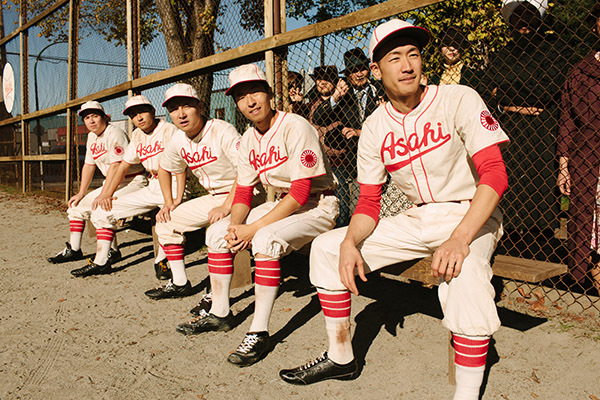 This new Heritage Minute tells the story of the Vancouver Asahi, who began playing in amateur baseball leagues in 1914. The team used strategy and “brain ball,” bunting and base stealing, which led to the team’s success and popularity in Vancouver. In 1942 the team was forced to disband when Japanese Canadians were interned in the interior of B.C. Some players brought baseball to the camps, as a way to get through internment. In many ways it felt like history was leaping right off the screen, the players in their uniforms looked like they were plucked right out of an old black-and-white photo. 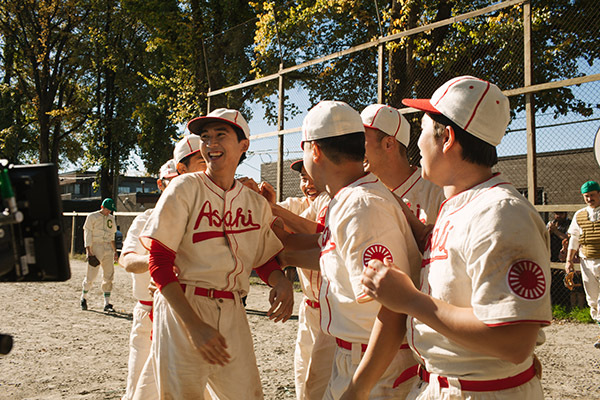 Scenes where the Asahi play baseball in an internment camp were filmed on an actual field Japanese Canadians played on in Tashme, now Sunshine Valley, B.C. Parts of the film were shot in a surviving shack from Sunshine Valley Tashme Museum and real bats and benches were used. The film has resonated with viewers, and is on its way to be one of the most popular minutes Historica Canada has ever made, says Wilson-Smith. In just one week, the film has been viewed one million times. As well, the film has been one of the most warmly received Heritage Minutes, since the company resumed their production in 2012, he says. The video has been shared on social media countless times, including by Prime Minister Justin Trudeau, actor George Takei and even the Government of Japan’s official twitter account. Last year, Historica Canada’s content reached 24 million Canadians. The Heritage Minutes alone reached seven to eight million people last year, where they are available online, but also play on Canadian television channels during commercial breaks, in Tim Hortons and is available on Via Rail services. 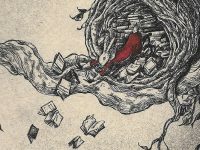 Historica Canada also operates the Canadian Encyclopedia, an online encyclopedia that covers Canadian history, including Japanese Canadian internment and the Vancouver Asahi. The Heritage Minutes are meant to educate viewers by sharing compelling moments in Canadian history and encouraging viewers to look up more information about the topic if they are interested. The Heritage Minute was pitched to Historica Canada by Point Blank Creative, who also wrote the minute, and it was directed by Scooter Corkle. 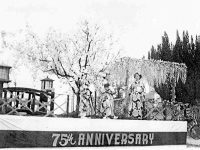 Historica Canada consulted with the National Association of Japanese Canadians, the Nikkei National Museum and Tashme Historical Society, as well as community members like Pat Adachi, Grace Eiko Thomson and Joy Kogawa, who provides the end narration. 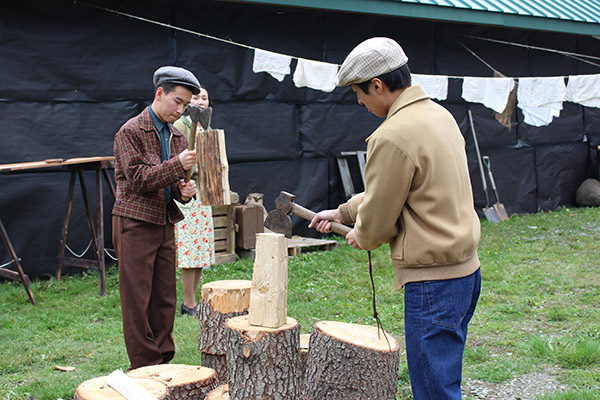 When the Minute was filmed last October, many of the extras in the scenes were played by Japanese Canadians and a handful were descendants of the Asahi. As well, Kaye, the last surviving Asahi player, the narrated the film. Heritage Minutes are meant to contextualize history, and bring it closer to Canadians, in a way that will resonate and stay with them. Instead of reading about history in a book, the 60 second film introduces a historical moment to viewers, hooks their interest and encourages them to look further into the topic.